I went to an engineering firm later after that and asked if they could sort my lifting point protrusions. They will sort next week for $100. Murray is making me a nudge bar that bolts on using the front tie down points thus making the bumper forward of the tie downs. You can get a 3500kg tow bar which, with a long hitch fitted, would probably render the rear tie downs short of protruding beyond the towbar. You could also buy a Defender Bumper Bar for the inspection and swap it over the minute you get home. Having to do this at all this does my head in though I would like to see writing on how tool holders on the bonnet compromise vehicle safety. I just got a length of threaded rod from bunnings and an old pipe with a few washers and bolted it between the lift points to remove the protrusion, then painted it camo green. He was not happy but I told the inspector it was part of the bull bar and could he show me me anything about it that would cause it to fail. He passed it, but the process was unpleasant. Good on you David - Invention wins the day! I see you are in Pt Pirie, did you have your 110 checked at an alternate inspection centre? I went to Regency. Wonder if Lonsdale would be a worthy place to visit. As of last Thursday I had my 2nd visit to Regency and passed, now driving around with a big smile on my face. In all to be compliant, I had to remove rear seat (FFR) remove all tools/holders on the bonnet including the windscreen supports, remove jerry can holders on the rear and shave off rear lift lugs and front bullbar lugs too. A local engineering firm did a very tidy job of it. 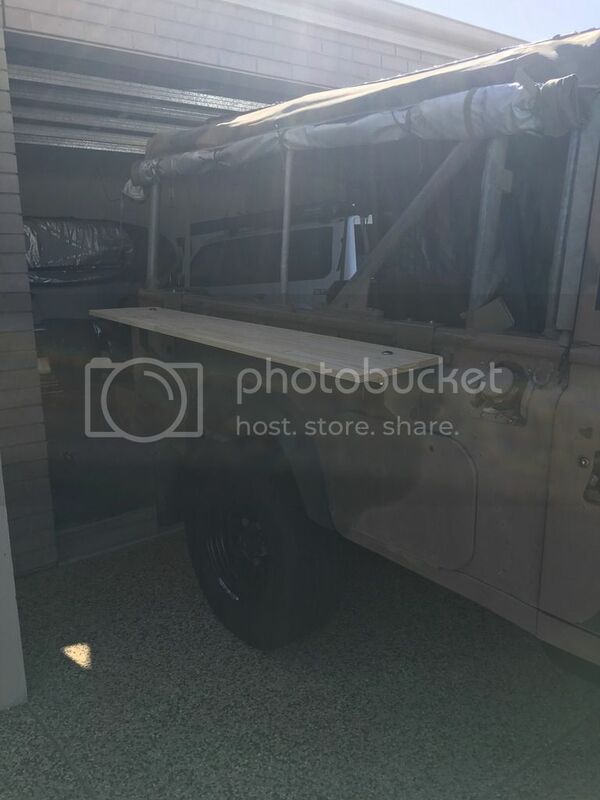 Defender and Perentie have different front chassis rails; bumpers or bullbars designed for one won't fit the other. 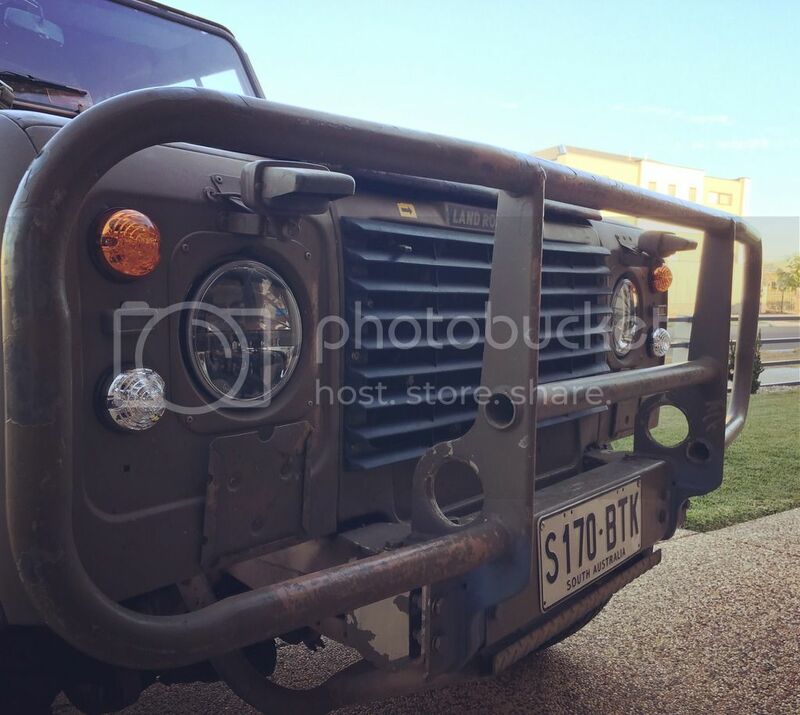 There is no civvy bumper bar for the Perentie because was not available as a civvy vehicle. 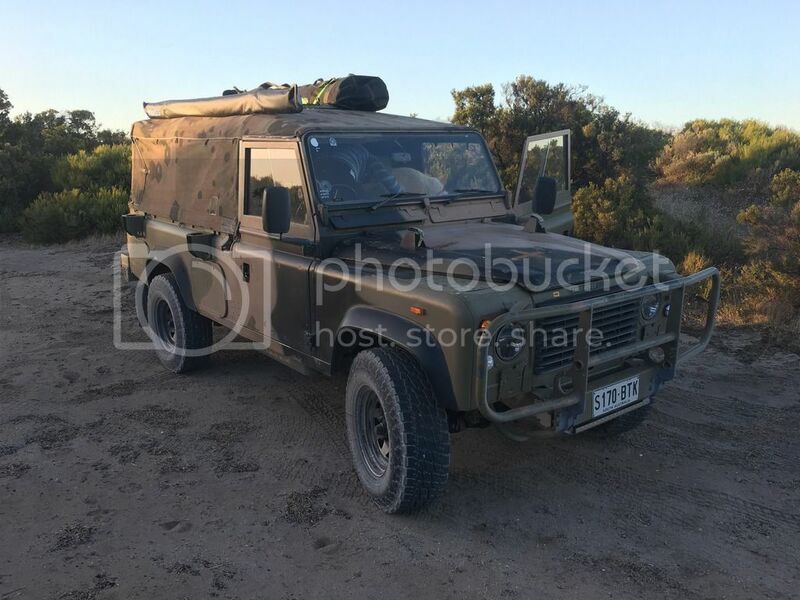 The model is "Military 4x4" and the bar that is on it is the factory bar that met ADR compliance when manufactured. 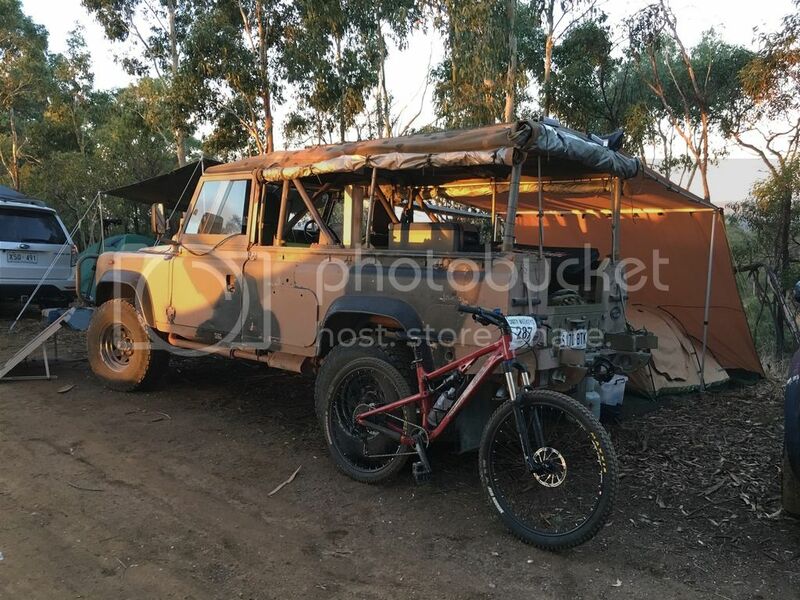 The various registration inspectors that have issues with the barwork seem to think that the vehicle is some kind of Modified Defender, when it is actually a completely separate vehicle on it's own. Fair enough on the bumper then but I would be doing anything rather than cutting up my vehicle up to satisfy inspectors who are making things up as they go along. I'm looking for a way to secure items/valuables when I'm not in the vehicle; I came across this safe from Front Runner. Anyone fitted one of these? The dimensions they give aren't very specific. Alternatively anyone know if the hole already there was modified in any way for the steyr rack? Do you think this will be a direct replacement? I ordered one of these and it arrived today. The dimensions are smaller than the Steyr rack and will require a little effort to cover the gaps. I plan to use some aluminium angle to make up the difference, mounted to the safe and using the existing Steyr rack screw holes. Let me know how you go DetV. I'd be keen to see the finished product. Its been a busy couple of months since getting the FFR, here are a couple of changes I've made since I got her. First of all, those headlights needed replacing. I installed the TRAXIDE wiring harness and upgraded the lights to a pair of Trucklite's - changed the parkers and indicators to LED while i was at it. The batteries that came with the FFR were all cactus, even after trying to repair them. 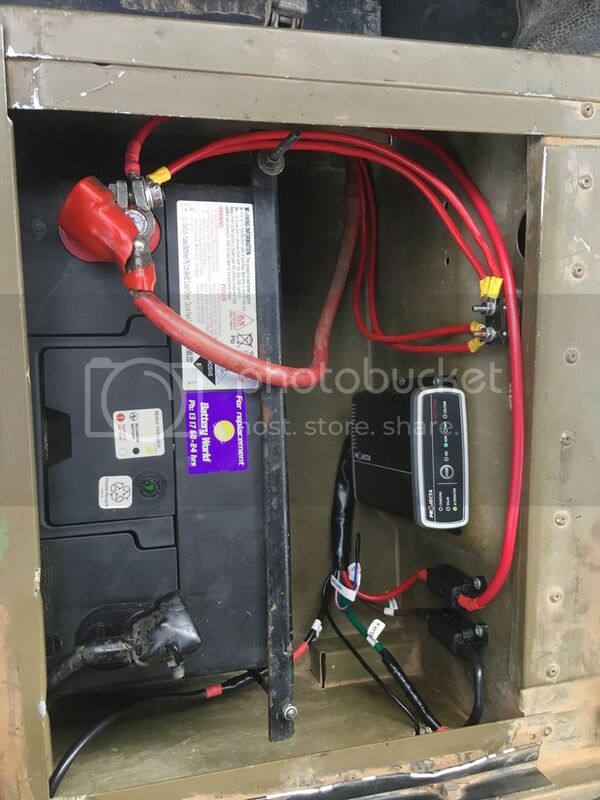 So they were removed and replaced with a 12v dual battery setup. A Projecta IDC25 was installed under the passenger seat, which also allows solar input. I made a bench for along the side of the vehicle using the antenna mounts, a piece of ply, 2 bolts, scrap wood blocks, and some wing nuts. The photo doesn't show it, but I've since given it a coat of vanish. 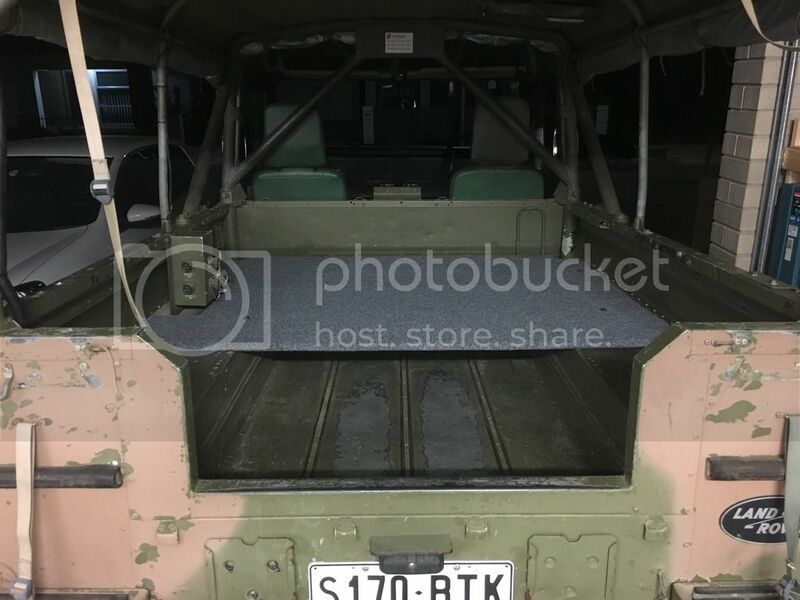 A false floor was added to the back, an issued trunk fits perfectly in front of it. Not seen in the photo, but i've added a strip of LED lighting around the canopy. 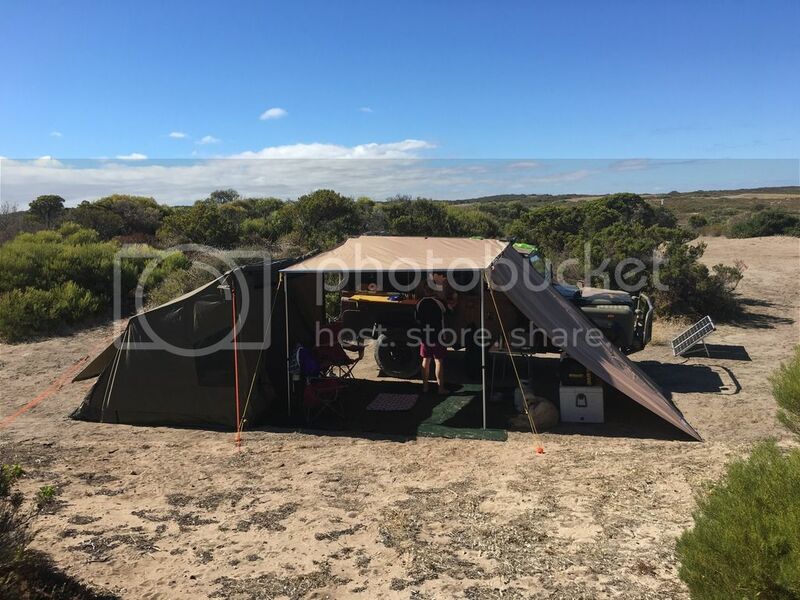 Inaugural camping trip over easter. Went to Hillocks Drive, SA.